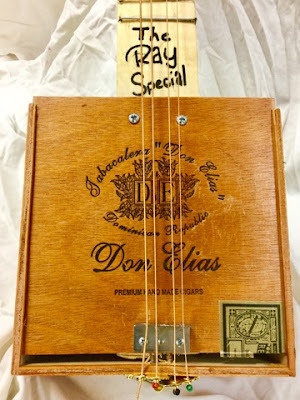 Ever seen a guitar made out of a cigar box? Well, here you go. 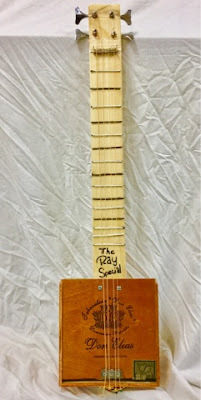 My son made this cool guitar for his dad for Christmas. So how did he do it? He locked himself in his room for a day. 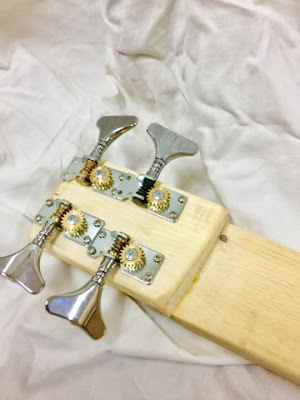 He sanded and sawed (yes, in his bedroom!). He glued. He used tung oil to finish. 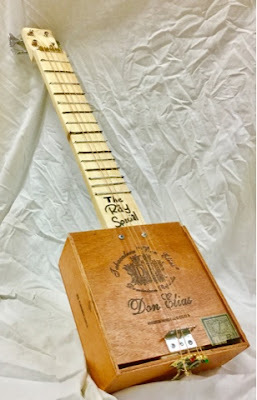 Check this video out for more detailed instructions The Easiest Way to Make A Cigar Box Guitar. Here is the “Grand Opening”. 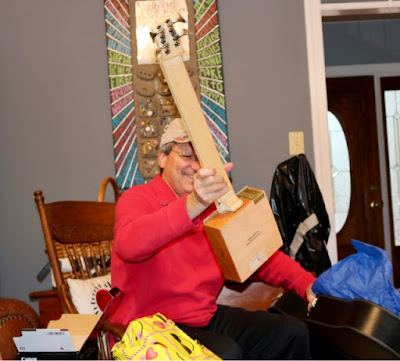 I love this picture with Rob’s big smile as Dad sees the guitar. I have a few more pics with some details below. As usual, I kind of messed up something. Rob needed a cigar box. We had one on our coffee table. The cigar box was empty and just sitting there collecting dust. I suggested he use the cigar box. He did. So, what’s the problem? The cigar box was given to us with cigars when our daughter was born 20+ years ago. Oops. Why did Rob make this for his dad? I have no idea. Obviously, Rob has a desire to create and make things. He makes music, lots. Recently, the “art thing” has begun to evolve. 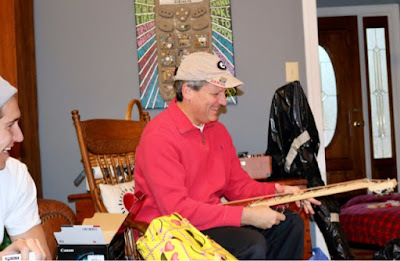 Rob making this guitar for his dad made his dad real happy. Rob making art for his dad made his mom real happy. It was a Happy Christmas at the Ray house. 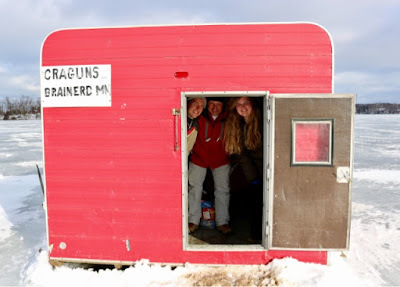 Then, we went to Minnesota ice fishing…But that is a story for another day! Cold, I tell you. Happy, but cold as ice. Oops, Claes Oldenburg Forgot to Put a Cherry on Top!